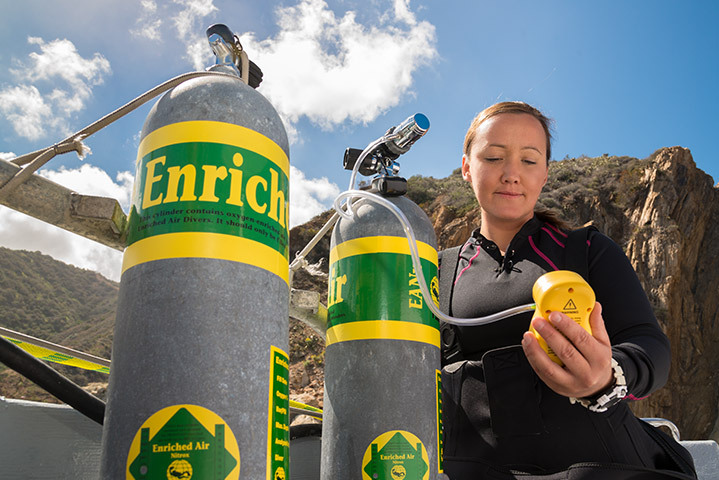 Those who dive with Enriched Air Nitrox (EANx) reach longer zero times – especially in the case of repeated dives. This special course is not for nothing very popular. But, in order to be able to stay longer underwater and to be able to take shorter breaks between the dives, some knowledge is required. How to analyze the oxygen level in your scuba tank. How to manage the effect of oxygen. How to set your dive computer for diving with Enriched Air Nitrox (EANx). In order to participate in the course, you must be at least 12 years old and already possess the PADI Open Water Diver certification.